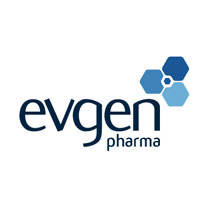 Evgen Pharma plc (LON: EVG), the clinical stage drug development company focused on cancer and neurological conditions, announced today its unaudited interim results for the six months ended 30 September 2018. “We were delighted with the positive breast cancer interim data showing good tolerability and efficacy in this very difficult to treat patient population and are hopeful that these trends will be maintained in the final analysis. With final read-outs of the STEM and SAS clinical trials due in Q1 and Q2 2019 respectively we are excited about the near-term prospects of the Company.